The U.S. Navy is considering extending the service life of all its ships by at least seven years, and could stretch the life of some ships by 13 years, according to an internal document produced by Naval Sea Systems Command. The analysis, first obtained by the military blog CDR Salamander, shows that as part of the Navy’s effort to grow the fleet to 355 ships, the service is eyeing extending the lives of the non-nuclear surface ships in the fleet. It also means some active ships could be as much as 53 years old. The letter, which qualifies that the extended service lives are contingent on following class maintenance plans, proposes extending the early Arleigh Burke destroyers to 45 years and the Flight IIAs to between 46 and 50 years. It also proposes cruisers could be extended to between 42 and 52 years; littoral combat ships to between 32 and 35 years, up from 25 years; and the amphibious assault ships to as long as 53 years. The document raises questions about how exactly the Navy would accomplish the extended service lives on its heavily used surface combatants and amphibious ships, especially platforms such as the cruisers that the Navy has proposed in recent past be decommissioned citing burdensome maintenance and upkeep costs. The average cruiser, for example, is almost pushing 30 years old. The oldest destroyers, the Fight I Arleigh Burkes without a helicopter hanger, are between 21 and 27 years old. The costs of owning the aging platforms is only going to increase every extra year the ships are in service. But foremost among the concerns, experts say, is what it would take to keep the combat systems functioning and relevant into the future. In a statement, the Navy declined to comment on the document but said it was exploring options for expanding the fleet. “What I can tell you is that we are looking at a number of options to increase our fleet to 355,” said Navy spokesperson Lt. Lauren Chatmas. “Along with new ship construction, we are also considering balancing this with extending the service life of existing platforms. Experts largely agreed that the ships could reasonably expect to make it to the ages listed in the document but with the caveat that there would be major issues keeping the ship’s relevant weapons. The cruisers and destroyers weren’t designed with easy combat systems upgrades in mind and to keep the platforms relevant the Navy would almost have to budget in a major combat systems upgrade, Clark said. Otherwise, Navy leaders would have to figure out new ways of using the ships. This could include using them as floating arsenals and using more modern ships and aircraft to acquire and relay targeting data to the older ones. Thomas Callendar, another retired submariner and analyst with the Heritage Foundation, said the idea of extending the lives of the non-nuclear fleet to grow the fleet was reasonable but funding is absolutely an issue. 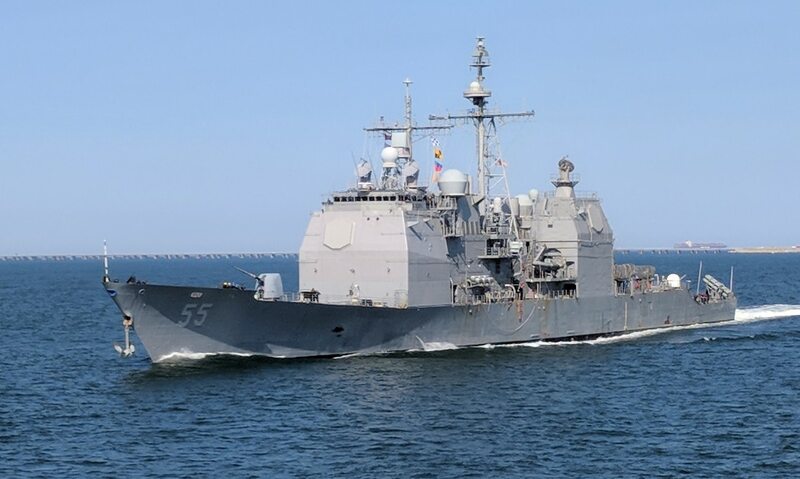 Bryan McGrath, a retired destroyer skipper and head of the defense consultancy The FerryBridge Group, agreed the ships could make the proposed life span but that there seems to be very little appetite inside the Defense Department to spend money just to boost ship numbers.